The year is 2019 and personal blogging has definitely gotten more interesting. Chances are you would like to expand outside social media platforms and take the high road to blogging. You may already have a huge follower base for your yoga techniques, health and lifestyle advices, makeup tutorials or gadget tricks and tips, how to convert that section of audience to loyal followers? Easy, get your own blog now! Having a beautiful blog is not just convenient to keep track of your ideas and share with the world, but if done right can be your way to having your own little business. 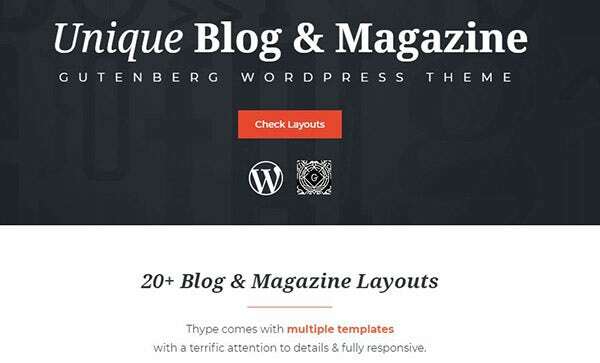 Of course you need a great blog WordPress theme for that. All of the themes below have been carefully mind-picked to serve you the most while being extremely user-friendly for your target audience. 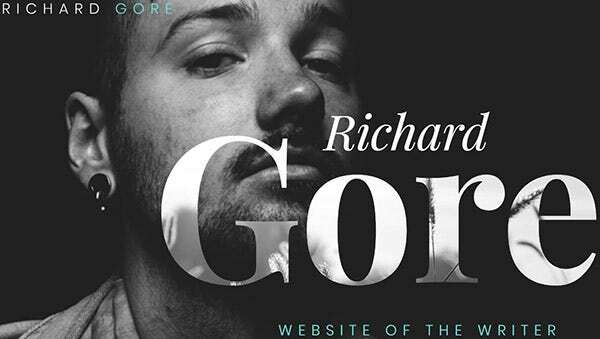 With a responsive design and visually appealing polished look Richard Gore is a must-have WordPress Theme if you are hoping for a very personalized showcase of pictures and content. It comes with Elementor Page Builder, Grid layout, JetElements plugins and support, SEO optimization, social media icons, multiple theme options, 24/7 Support and is translation ready. 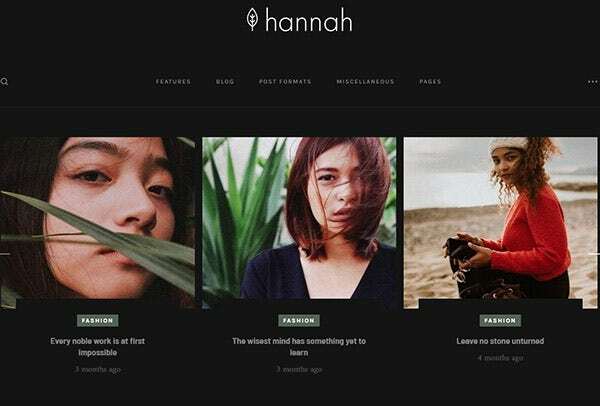 With a secure code base Hannah is a 100% responsive design with 4 additional blog layouts, slideshow styles and widgets like Newsletter, Popular posts, Social Icons for sharing and more. This theme is translation-Ready with a Full-Width feed featured at the end of a page for Instagram. Hannah is solely dedicated for pictures while keeping it short for the content part of it making it a great choice for photography & fashion blog theme. 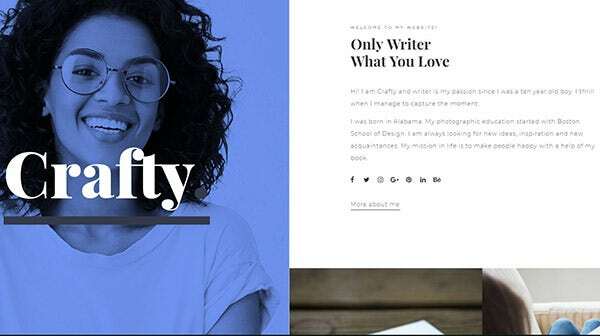 With a balanced and chic layout Crafty is a great choice for personal blog WordPress Theme. 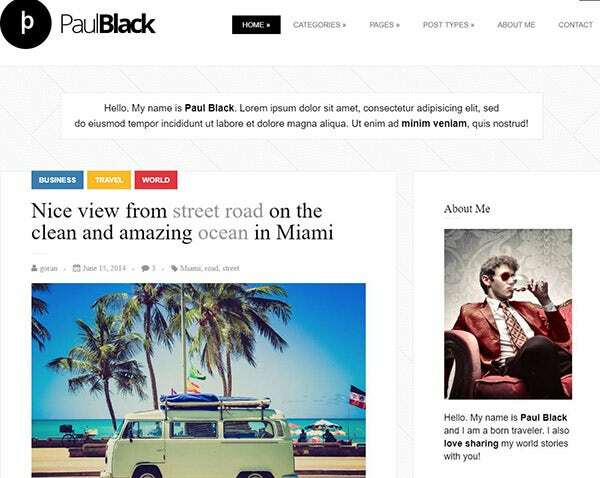 This fully responsive theme offers a timeless design and is Retina ready. It is not only easy to customize but also has Cherry plugin with a mega menu on the home page. Rima is a theme for personal blog and portfolio with custom skin settings. It is WordPress 4.3.X to 4.9.X Ready, has 5 header layouts, responsive design, visual composed, and is also translation ready. What makes this theme perfect is its easy installation on one click, Yoast plugin as well as custom Rima Instagram widget. 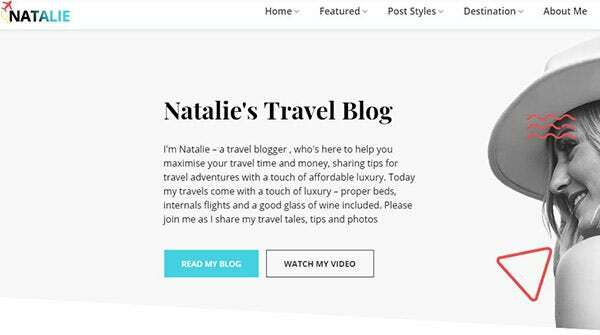 Natalie is an ideal theme for a personal travel blog template. This WordPress Theme has custom in-built widgets including multiple social media options. With a great visual design it also has SEO optimization, WooCommerce compatibility, is fully responsive, provides multi-lingual compatibility and is also cross browser compatible. 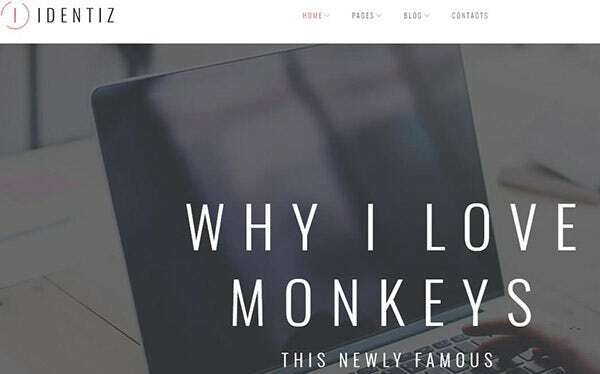 Enoki is a very simple yet extremely user-friendly and customizable blogging WordPress Theme. Its feature rich display which is HD/Retina Ready with a wide range of sliders and carousels allows you to exhibit pictures with a user-friendly view. It is also translation ready and can be used as a multilingual blogging platform. 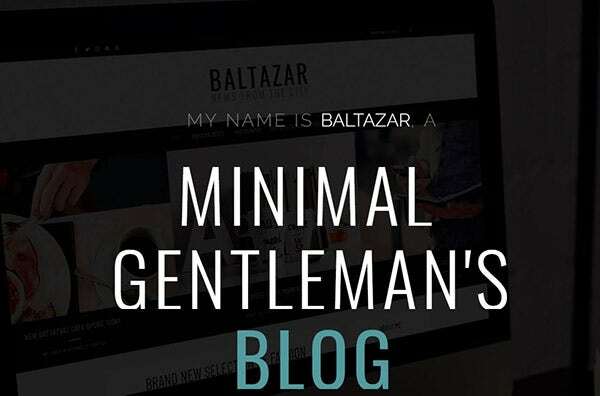 If you have more than written content to offer, Baltazar is the perfect blog WordPress theme for you. It comes with unlimited layouts, social media integration, and smart multi-level menu, retina-ready, sidebars, great readability, live search results, SEO optimization, unlimited colors and so much more making it for men’s products bloggers. Travel bloggers would love this blog WordPress theme. This theme is clean and offers great display features with amazing font choices. With a responsive design and a modern visual composer, this theme offers features like multiple post template options and is SEO friendly. Think about soaring up those Google rankings, eh? 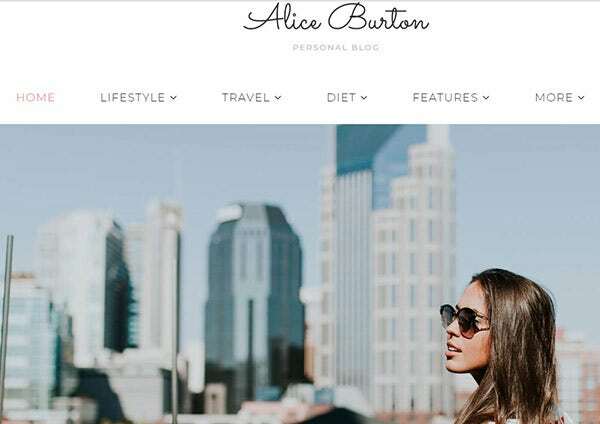 With multiple layouts for homepages, AliceBurton is a great choice for fashion, travel or lifestyle bloggers templates. This WordPress theme with a modern design is highly responsive and is SEO optimized. It has retina ready graphics, extensive documentation, Elementor page builder and has 24×7 support. It also comes with unlimited colour options and free updates for a lifetime. 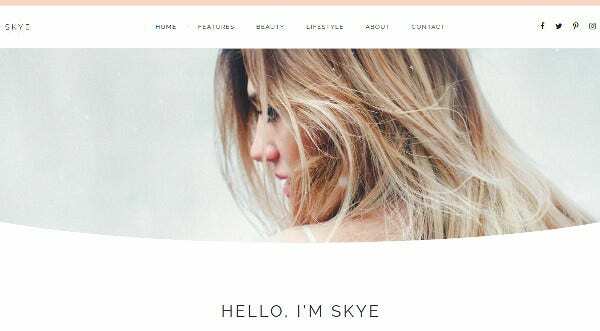 With a very minimalist approach, this WordPress Theme suits lifestyle blogs that don’t update content so frequently. 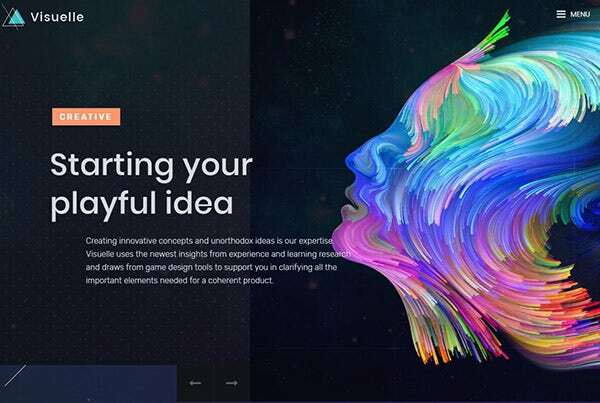 With great focus on typography, responsive design, a simple layout, retina-ready, matching editor style and live customizer, this theme is all set to help you make the transition to a wider audience. 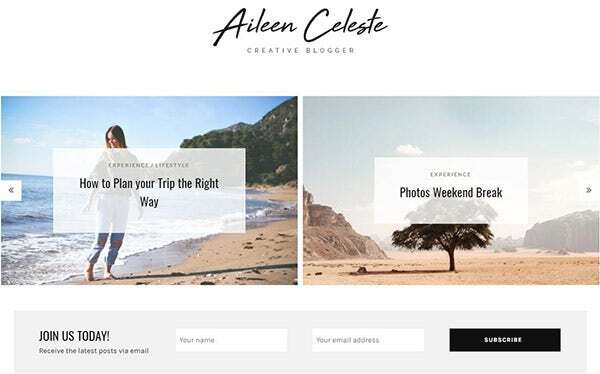 Aileen is a mobile optimized personal blogging WordPress theme that comes with integrated shopping features. This fully responsive theme social media options, newsletter support, multiple slider layouts, easy navigation on the header and more user-friendly features. This WordPress theme has multiple custom widgets like promo post widget, advertisement widget and About Me widget, perfecting it for fashion, food, photography and more platforms. Manawa offers a clean perspective on creative blogging themes as it offers an in-built page builder, Slider Revolution, and Shop My Post plugins besides a clean design. 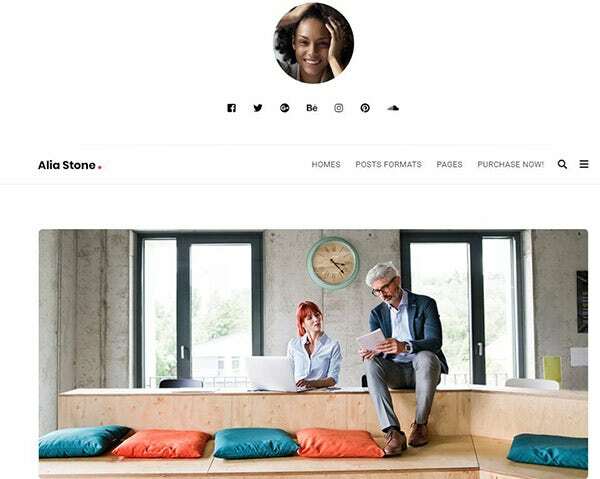 It also offers multiple elegant layouts, customizable theme options, WooCommerce integrated, mobile compatibility, live customization and much more. With quick and friendly support, special mobile menu, video backgrounds this is a great choice for personal blogging. This is a multi-concept theme that offers blog & magazine WordPress templates with a fully responsive layout. Thype has premium and free extensions with compatibility for WPML, Contact Form7 and Loco translator. Its premium extensions include Revolution Slider, Visual Composer and several other features. With SEO Optimization this theme can support web-magazines and personal blogging in a single platform making it a great choice for photography, travel, lifestyle and more. 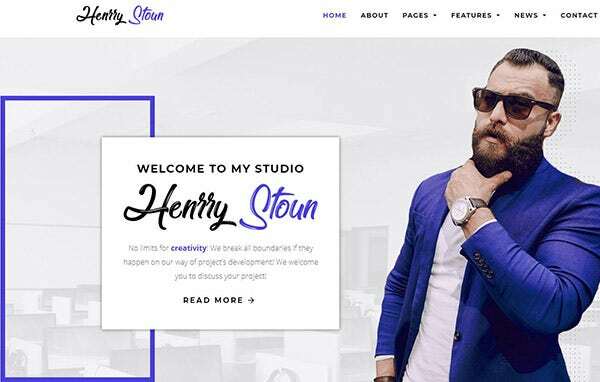 Henry Stoun is compatible for use as a personal blog. It comes with Elementor page builder, Google Fonts integration, adaptive optimization option for image size, unlimited fonts, Facebook and other social media integration, mega menu, clean HTML code and is Retina ready, making it perfect for bloggers. Tonsberg is a Response-Ready theme supporting your work in all devices. This travel blog theme offers WPBakery compatibility which is a popular WordPress plug-in for page building. It doesn’t require any coding with jQuery plugin, shopping features, more than 600 Google Fonts, PHP-Ajax Contact Form, custom widgets, CSS animation and more. With an in-built flexible header, multiple post format support, social sharing integration and much more, Jack Baker is a great personalized theme option for writers. 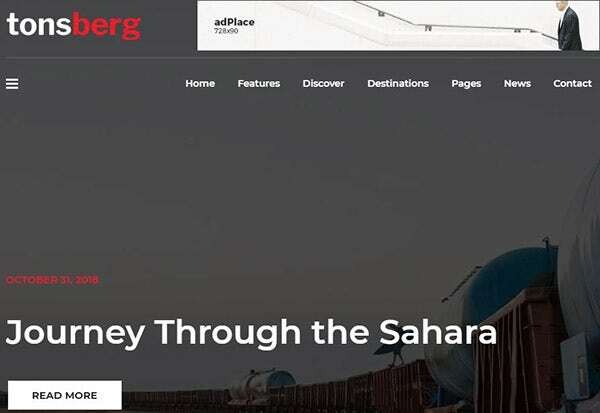 It also has Cherry sidebars, Elementor page builder, one click demo import, diverse categories, fully responsive design and an unique layout, custom widgets and one click updates. 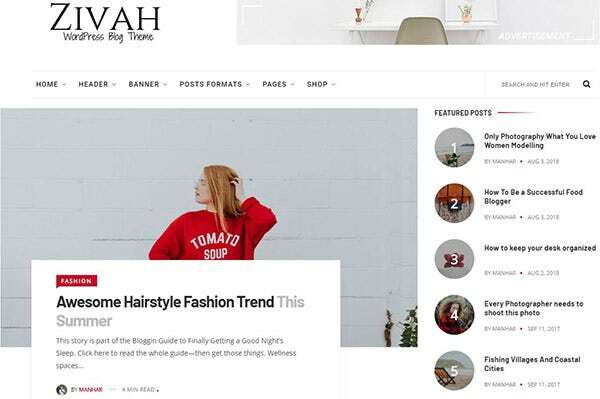 With a clean and minimal design Zivah is great WordPress Theme for bloggers that offers 100% responsive design on all devices. It has 1 click installation, widgets like Promo Box, Social etc., HTML5 and CSS3 design, Mail Chimp Support, multiple blog layouts, SEO optimization, Google Fonts, flat design style and Cross-browser compatibility making it perfect to unleash your creativity. With a creative layout, Slife is an efficient lifestyle blog WordPress theme. It gives a professional appeal with a sense of personal touch with its responsive design. It comes with free updates and is easy to customize with complete integration of Elementor page builder. With an advanced admin panel, you get TM gallery, sidebar manager, HTML5 and CSS3 code and a built-in review system. 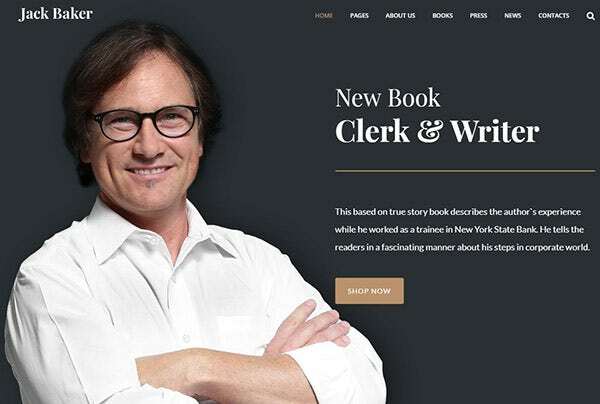 This WordPress theme comes with an elegant design with eye ball-grabbing pages. It has a distraction free design, one-click installation, JetElements support, and in-built widgets for recent posts, popular posts and social network sharing options. It is SEO Optimized and is the perfect choice for bloggers. 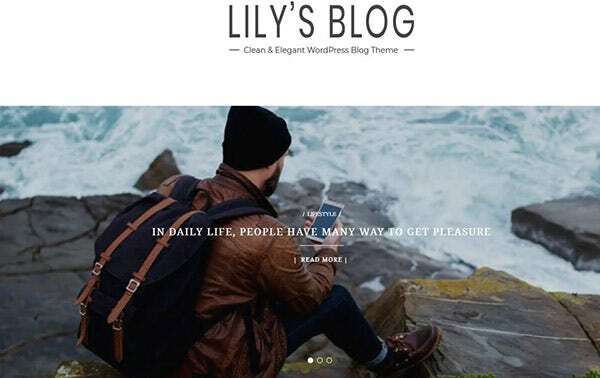 With a very clean and chic design Lily is a great choice for a content rich blog. This WordPress theme has advanced layout options and a variety of sidebar layouts. It also has a strong widget management paired with visual composer page builder. It also offers tons of short codes, Contact Form 7, Mail Chimp, is SEO optimized and translation ready. Backed with multiple layouts and fully responsive image, Spontaneo is a great choice for bloggers who regularly update their content. It is RTL Ready, WPML Ready, has a light and dark version and comes with unlimited color options. It offers social media icons, is built with HTML5 & CSS3. 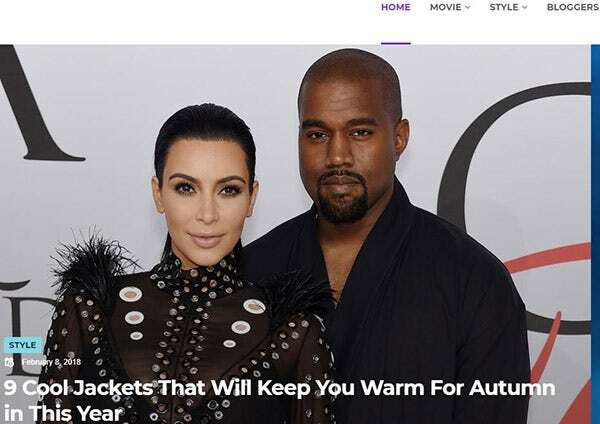 This theme is SEO optimized and has clean and commented code. Identiz is a unique WordPress Theme for all types of creativity out there. It is multi-device compatible, retina ready, built with CSS3 and HTML5, has social sharing options, and is also translation ready. It has support for all WordPress post formats and has an easy and smooth customization experience. All of these WordPress Themes clearly have unique features are meant for different aspects of online presence. Depending on your choice of field, you can find tons of options that provides video background, great image display, review sections and more ways to connect with your audience.